I’ve mentioned my love for tea parties in the past. There is something so special about enjoying dainty and delicious food displayed on beautiful dishes. In addition to the pretty treats, one of my favorite aspects of a tea party is the opportunity to enjoy leisurely time with friends. Spring is such a perfect time to host a tea party! 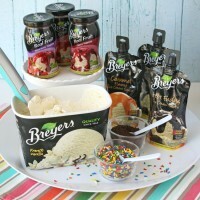 It could be for Mother’s Day, a Bridal Shower, or just a fun day to enjoy time with friends. 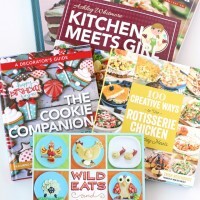 Here are a few of my favorite recipes, perfect for tea parties…. Now that you have a few menu ideas, it may be time to find a few goodies to spruce up your table display! 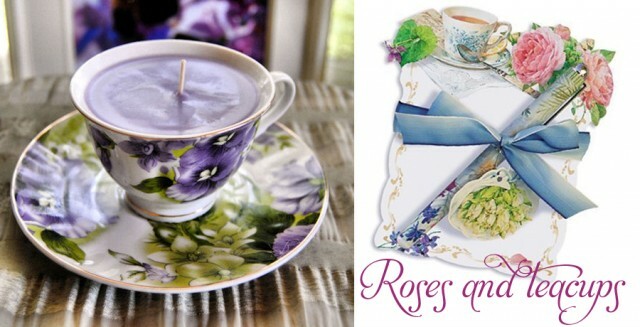 Roses and Teacups is a great place to start! 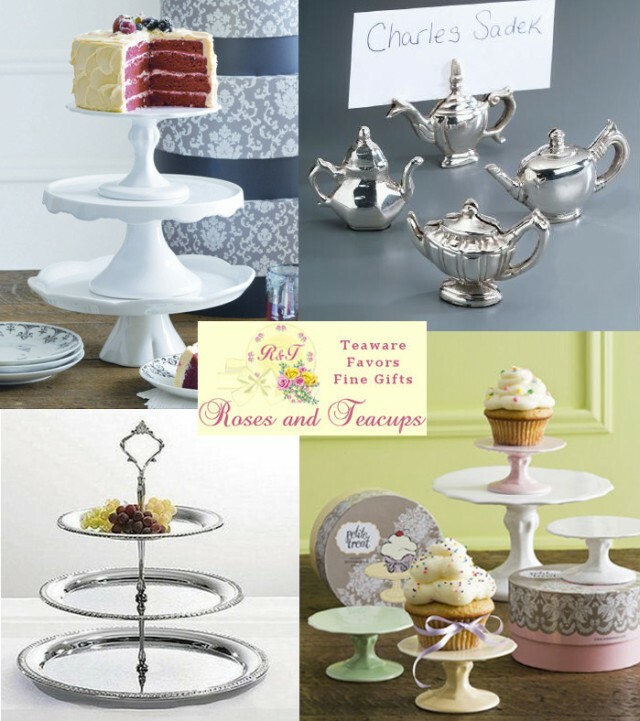 From beautiful tea pots and tea cups, to small favors and gifts, Roses and Teacups has all of the accessories you need for a beautiful party! One lucky Glorious Treats reader will win a $50 gift certificate to Roses and Teacups, to shop for the items of your choice! Simply leave a comment below telling me the nicest place you’ve ever had tea (a tea shop, someone’s house), or tell me who you would love to enjoy a tea party with. *E-mail subscribers- If you are viewing this post in an e-mail, please click HERE to view this post on-line and enter using the comment form below. Details- One entry per person. Giveaway ends Wednesday, April 3rd, at 9pm Pacific. Giveaway open to U.S. residents only (due to shipping costs). Winner will be chosen by random.org, and notified via e-mail. 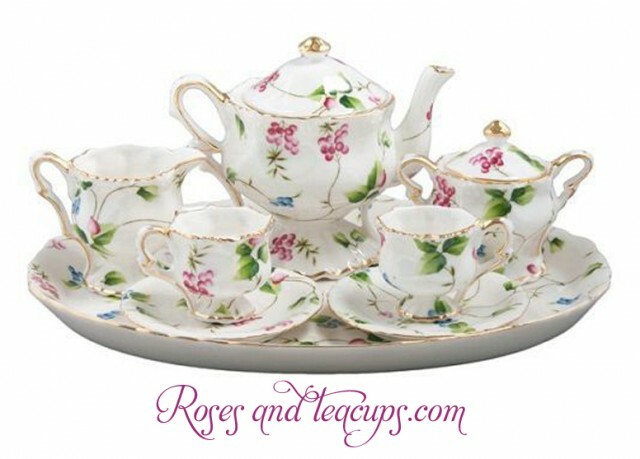 Be sure to follow Roses and Teacups on Facebook to keep up to date with sales and new products. I would enjoy a tea party with my two daughters! My favorite tea times are with my granddaughter, Alexis. We bake cookies, make tea, and sit and enjoy each other’s company. I once had mint tea with my Professor’s family in Morocco- It was wonderful and they were wonderful people! I used to have the best tea parties with the lady across the street. She made the best tea. I had tea with my mother and sister at a dainty tearoom called Sally Lunn’s. It was quite enjoyable! I also have an upcoming tea party planned with my closest friends that I am looking forward to. I had a tea party for one of my friends birthday! It was wonderful! I was at the Grand Bazaar in Istanbul, Turkey shopping with a friend. One of the shop owners offered us Turkish tea and we sat in his shop and talked. It was a special moment I will always remember, and I was able to embrace the culture of a foreign country. My grandma’s house was the best place to have tea. The nicest place I’ve ever had tea was in my back yard garden the Easter that we announced we were expecting our second son. We were surrounded by family and friends, and it was a wonderfully memorable tea! I don’t care for hot tea……oh the horror, right? But I love sweet iced tea which I always have at home on the weekends. I did however just have a very fun teaparty birthday party for my daughter’s 5th birthday………with sweet iced tea and lemonade and tons of tiny sweets. The nicest place I ever had tea was at my mothers house on Easter Sunday. It was a beautiful day and i lovely memory. My Mom makes great tea. When I was a little girl she would “read” the tea leaves for us. She made sure it was always good luck. the nicest place I’ve ever had tea was at my bridal party surrounded by my family and friends. The best tea I’ve had was @ a little cafe we go to for breakfast when we’re in Florida on vacation. The couple that owned it (they have since sold it) were from England and “did” tea right. Their scones were unbelievably good also!! My grandmas house for sure! High tea at a hotel in Seattle was wonderful. I went to a tea tasting in Turkey. They were all delicious! For the past 20 years the girls of our family have had Christmas Eve tea. We have gone to all kinds of tea shops but began having trouble finding places open on Christmas Eve so we usually end up at someone’s home. My favorite tea was at The Brown Palace in Denver. It was the last family tea my mother attended before her death. When I was 12 my friend threw a “sophisticated” tea party complete with pastel macarons and cucumber sandwiches. It was beautiful and made everyone smile. My mother treated me, my sister, my daughter, and my niece to a very nice Christmas high tea at a really fun place called the Paris Apartment. It was a special memory. I plan & prepare Afternoon Tea as a fund raiser in my community three times a year. So the best place I’ve had tea is right here in my community. Our Spring Tea is coming up in 3 short weeks. I can’t wait! my favorite place to have hot tea was at one of my Mom’s best friends home when we lived in Massachusetts. She lived in a very old farm house and she decorated it to have the same feeling you would back in the day. Reminded me of going back to my Grandparents frarm in Oklahoma. I miss having tea with her now that I am back in Texas. Tea and shortbread during finals week my freshman year of college with a dozen friends! the nicest place i have had tea is at Annie’s Cheesecakes and tea shop in Lancaster Ohio. I love the ritual of having tea. The best one I ever had was with my husband at the Ritz Carlton in Puerto Rico while we were on vacation. Growing up, my Grandma used to fix tea for me when we would visit. She always served it to me in her beautiful china, and I never felt more special. My Grandma has always meant the world to me, and when my parents moved us from Ohio to Florida when I was young, I looked forward to those special visits. Today, I am 35 years old and I still look back on those memories and I am grateful to have that special time with her. She gas 17 grandchildren and knew how to make each one of us feel important. Tea partiea between just her and I was our sMy grandma has been battling a rare form of liver cancer this past year and is not expected to be with using longer. She recently sent me one of her fine china tea sets for Christmas. I have been collecting teapots for years. Growing up, my Grandma used to fix tea for me when we would visit. She always served it to me in her beautiful china, and I never felt more special. My Grandma has always meant the world to me, and when my parents moved us from Ohio to Florida when I was young, I looked forward to those special visits. Today, I am 35 years old and I still look back on those memories and I am grateful to have that special time with her. She has 17 grandchildren and knew how to make each one of us feel important. Tea parties between just her and I was our special time. My grandma has been battling a rare form of liver cancer this past year and is not expected to be with us much longer. She recently sent me one of her fine china tea sets for Christmas. I have been collecting teapots for years because I feel closer to her surrounded by those things I love. I would give anything to have one more tea party with her. Hello to Glorious Treats ! I love tea, tea parties, and the bonding that goes along with ‘having tea”. We get dressed up in dresses, hats, and chat for hours about their school, sports, friends…and yes-boys! so fun. I would be honored to win this giveaway. I truly admire your talents and make many many many of your recipes. Each summer since my 3 daughters have turned 5 years old I have taken them for “Tea” as a special treat. I take them one at a time for a date with Mommy. We get dressed up in our favourite summer dresses, decorate our summer hats with flowers from the garden and drive to a local historical homestead. Each Wednesday in summer the birthplace of Colonel John McCrae, the author of the WW1 poem “In Flanders Fields”, hosts Tea Parties in their gardens. A special “John McCrae Blend” of tea is served along with fresh berries, scones, homemade preserves, devonshire cream, and assorted sweet treats.. It is heavenly to sit under the old trees in the garden and sip a unique tea blend with each of my daughters. After tea we stroll though the gardens and play some of the historical children’s games they always have available. It is a wonderful chance to laugh, tell stories, pretend to be princesses and create memories that will last a lifetime! My favorite spot for tea is on my screened in porch with a favorite couple who are dear friends. They introduced me to drinking tea in the evenings to help me relax. It has become a nice addition to my routine. Best place I had tea was at The Mark Hotel in New York. The old Victoria Magazine flew in a chef from England. She brought English clotted cream and made assorted trays of sandwiches and sweet treats. It was a fun afternoon with ladies who had similar interests. The best tea I had was when I was visiting Toronto one day. I went with my mom and brother to a very sophisticated fund-raising tea party and there was something like a 1000 varieties to taste from. There were also 2 professional ladies explaining the different aromas, harvests and so forth in such a romantic and whimsical way. While this was happening, we were being served nice little desserts that went along with the tea. The experience was magical! I recently held a tea party at my new home. My friend made homemade scones served with fresh devonshire cream, jam and lemon curd. That was followed by “ladybugs” on crackers, tuna sandwiches, turkey sandwiches, and – of course – cucumber sandwiches, served with a spinach and apple salad. For the sweet, we had some lemon cupcakes and cookies. The teas were all black teas – one was called ‘royal wedding’ another was an oolong (the champagne of teas, so I have heard), the last was the most popular- raspberry chocolate truffle! I spent weeks working on the menu and selecting the right teacups and teapots for the party. We had a fabulous time and I cannot wait until I have another party! Fabulous memories!